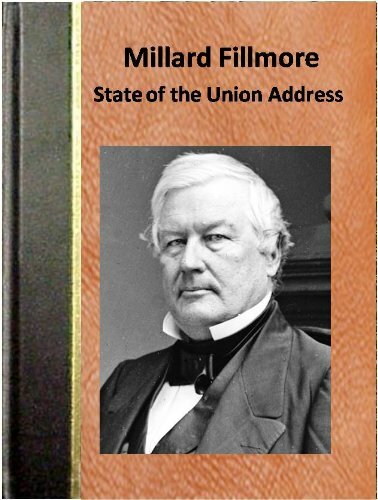 Millard Fillmore has been mocked, maligned, or, most cruelly of all, ignored by generations of historians--but no more! 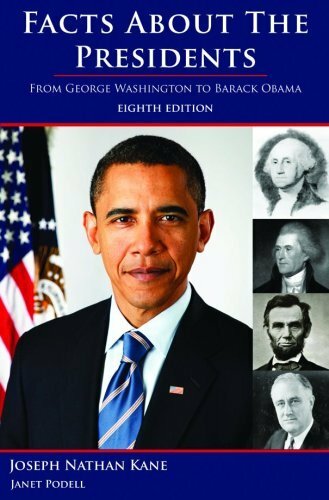 This unbelievable new biography finally rescues the unlucky thirteenth U.S. president from the dustbin of history and shows why a man known as a blundering, arrogant, shallow, miserable failure was really our greatest leader. 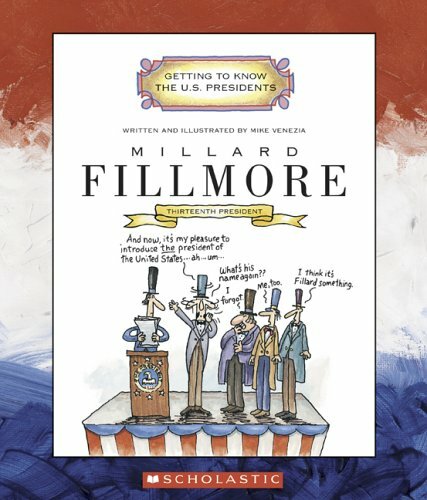 As a fan of both presidential trivia and political satire, I was looking forward to reading The Remarkable Millard Fillmore.Unfortunately, Pendle's book isn't very "remarkable" on either count. 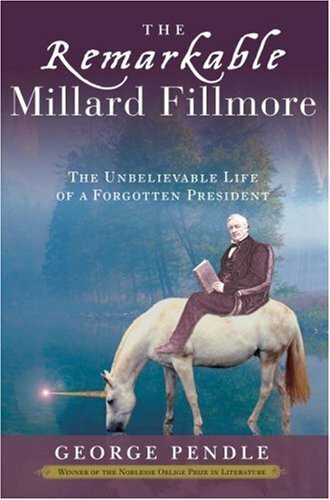 This is a fictional biography of America's 13th president, augmented by the supposedly undiscovered private papers of Millard Fillmore (which have been scrawled in ballpoint pen in handwriting that is clearly not Fillmore's) andhidden away in the jungles of Uganda since 1873. The humor is often forced and sophomoric and more times than not falls flat.The comic misuse of facts and mangling of vocabulary is reminiscent of the Reduced Shakespeare Company's works (The Compleat Works of Shakespeare Abrgd) but often the jokes, puns and situations just aren't that funny.Here's an example.Fillmore encounters General Andrew Jackson in a tavern.Unaware of Jackson's lightning temper, nor of his bitterness about being accused of bigamy because Jackson's wife Rachel had not completed her divorce from her first husband before marrying Jackson, Fillmore talks about the weather and innocently tells the General that though the fog off Lake Erie was bad today "there is a bigger mist rolling in to town tomorrow".Thinking that Fillmore has said "bigamist" and is referring to his wife, Jackson challenges Fillmore to a duel.Groan. Pendle seems to be trying to channel the comic madness of Mel Brooks "HISTORY OF THE WORLD PART I", but succeeds only in emulating Brooks' later and decidedly unfunnier works, like LIFE STINKS.Though this book doesn't stink, it sure doesn't live up to its comic potential.However, if you are in the market for a much funnier political satire that lampoons the presidency, I suggest FIRST LADY by Patrick Dennis. This book is hilarious! The first page or two I was thinking this is going back up for sale on Amazon. Not now. I'll be re-reading this book. It is hilarious. 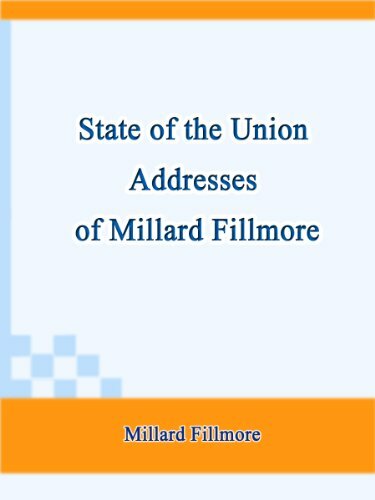 It is hard to describe in just a small space, but from Fillmore's survival at the Alamo, duel with Andrew Jackson, thwarting an assassination attempt on Jackson, friendship with Edgar Allen Poe, his search for the source of the Nile. It is one amazingly funny episode after the next, all written in a straightforward style, not tongue in cheek. Even the index is funny. 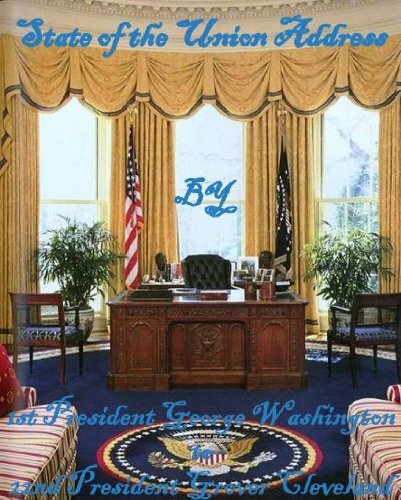 I am trying to read biographies/autobiographies of the presidents in order.This book was a waste of time.Although the author has some fact, it was difficult to distinguish tounge in cheek from fact.I would encourage the author to become gainfully employed. 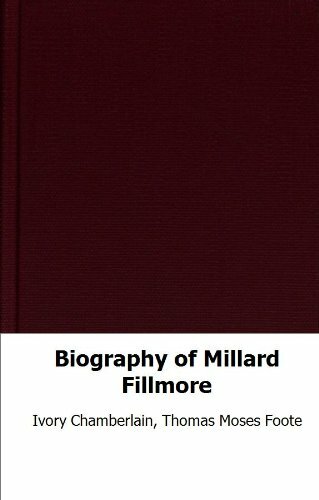 I borrowed the book from the library, looking for a biography of Fillmore.I was surprised that it wasn't.My quick review of the back cover blurb led me to believe I had found a good biography.Once I caught on that the book is intended as humor, I became annoyed that the author had no interest in distinguishing fact from fiction.I tired of reading it at around page 60.I wanted to know about Fillmore.This book only ridicules him. As noted by others, this is not a work of biography.Despite what others have said, I don't believe that it is a work of humor either.